An awesome video from Lauren Hostovsky and Marisa Mills. Come out to someone you haven’t! The Deaf Queer Resource Center has been collecting and documenting DeafQueer coming out stories since 1997. Yep, you read that right… since 1997! Not all of the stories we’ve collected are online yet but you can find quite a number of them on the Deaf Queer Resource Center’s website. 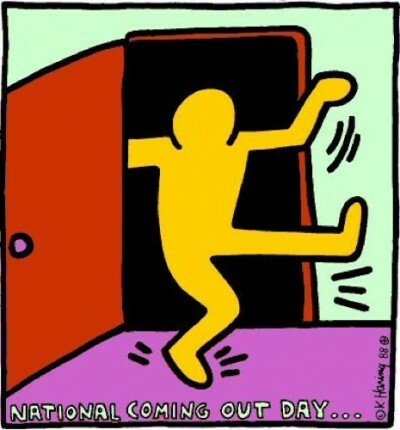 In celebration of National Coming Out Day, we’ll be adding some new DeafQueer coming out stories today. Watch for them! Update: Due to technical difficulties, we were only able to add one coming out-related video today. Not to worry, we plan to add one new video each month beginning this month. Keep your eyes peeled. This captioned video, featuring Deaf Gay Ace Gilliam, is part of the “I’m from Driftwood” series of stories by LGBTQ people. After watching the video, we tracked down Ace for a mini-interview. He’s now 21 and still calls Las Vegas home. Planet DeafQueer: Tell us a little bit about how you came to participate in this video project.